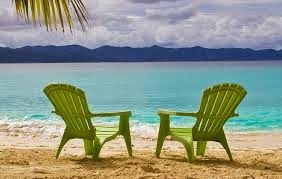 Summer vacation is the most common time to get break from daily routines and experience a change. This is the time when schools in most of the countries observe summer holidays, so the kids are free from curricular activities and are looking for a break. There are many charming destinations in India to visit during the summer break but following few are supposed to be top destinations to keep yourself away from the scorching heat of the summers and enjoy a subtle vacation at these places. 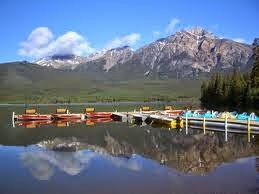 Planning a vacation, away from the city's routine life, seems to be the best thing for summers. India, with diverse topography, culture and variety in its climate, has no scarcity of summer travel destinations that can be visited by locals and international tourists. It is observed that summers in India are as enjoyable as anywhere else in the world. Upper northern side and the lower half of the country particularly exhibit some distinguished destinations, which can prove to be perfect places for a summer sojourn. List of summer destinations in India is long enough including serene beaches, cool hill stations, and the recently added eco tourism locations as well as refreshing Ayurveda resorts. For those who are planning a summer vacation in India, here are some amazing options to visit during the hot months. The list includes Srinagar, Gulmarg, Sonmarg, Kulu, Manali, Shimla, Darjeeling, Naitnital, Bhimtal, Kasauni, Mussoorie and the incredible beaches of Goa. Ooty is south India's most popular hill station, situated in the Nilgiri Hills which is listed among the top notch summer retreats. Spread out along a high plateau it is set among the Nilgiris covered with green forests and valleys, tea plantations, streams and mountains. Summer festivals are arranged specially for the tourists arriving here during summer vacations. Kodaikanal is the most popular hill resort tucked on southern ridge of Palani hills inviting Indian as well as foreign tourists to experience charm of its romantic climate and scenic beauty of the hills. 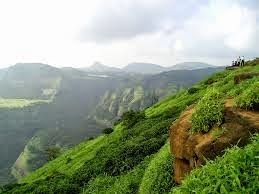 For the visitors from Mumbai and Pune Mahabaleshwar located in the Western Ghats is the perfect summer destination to spend a week along with family or friends.